Thank you for joining me as we count down to the MFT release. We are four days away from the big day! All the new Stamps, Die-namics, and Stencils will be available on Tuesday, July 11 at 9:00 pm EDT. Be sure to check out the MFT Blog to see all the new items being revealed today. Don't forget to leave a comment on the MFT Blog countdown posts, YOU could win one of the five $75.00 gift vouchers. We have some fabulous new Shaker Pouches for you this month. One of my favourites is the new Balloon Shaker Pouches and the coordinating Balloon Shaker Window & Frame Die-namics. These Shaker Pouches and coordinating dies make creating shaker cards a breeze! I created the background using the Framework Stencil and a handful of my favourite Premium Dye Inks. The sentiment was created with the amazing Celebrate Die-namics. I die-cut two pieces of Black Licorice card stock and layered them to make the sentiment pop off the page. Beautiful shaker card!I love the background! 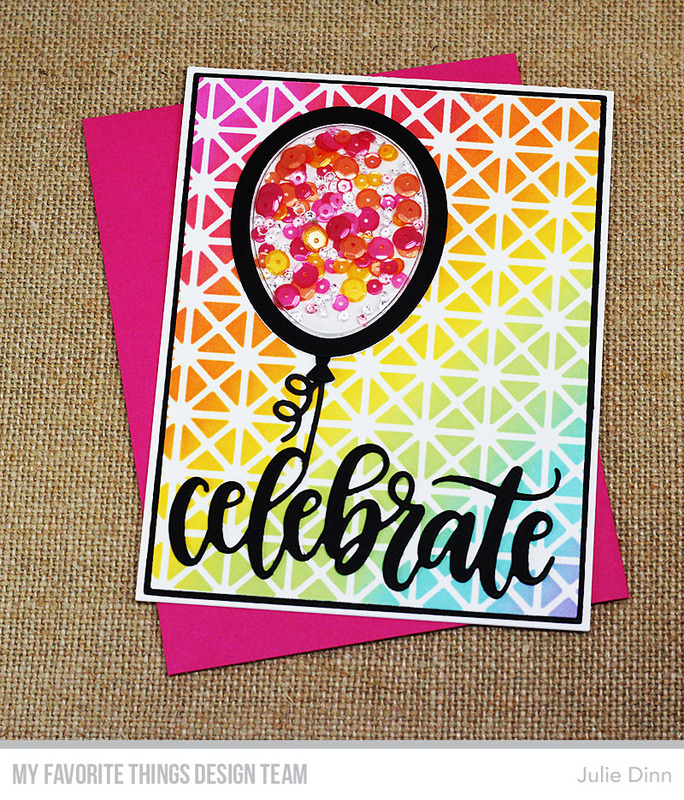 Terrific combination of framework stencil and balloon shaker in wonderful color! What a perfect birthday card. I'm loving these MFT shaker coordinates, and happy to see the balloons being added! I love this, Jules! Awesome job, girlie! Hugs! 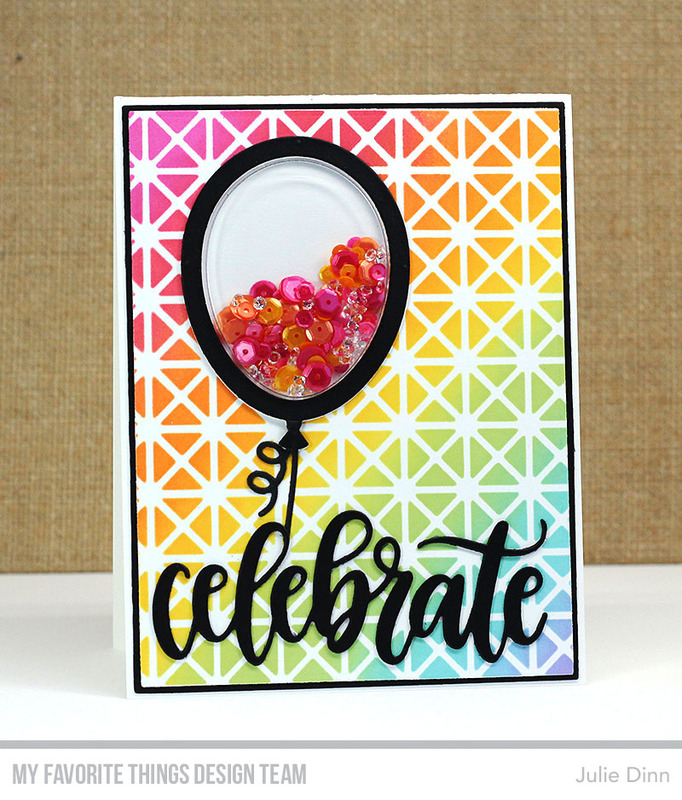 Love your colorful background for this shaker card. Your design is a true celebration. TFS. Great Release! AWESOME shaker card! Rainbow is my favorite color. This card went straight to my Heart. Love Love Love!